This is a review of Adobe Premiere Rush aimed at photographers – especially photographers like myself who aren’t confident with shooting and editing video. You might be wondering what’s going on – a review of a video editing app on Shotkit, a website devoted to everything (stills) photography related. 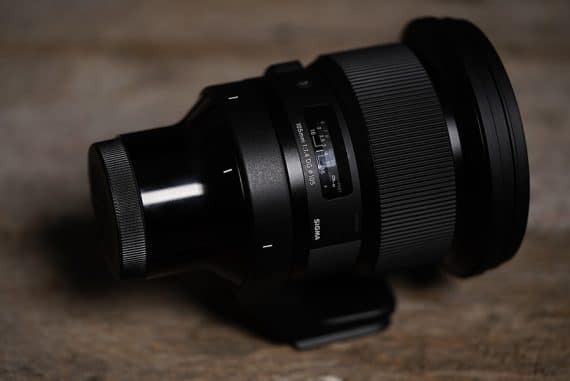 Even if you’ve never pressed that red record button your DSLR mirrorless camera, 2019 will be the year that changes all that. You see, us photographers need to up our game with the old motion picture. Being able to shoot pretty photos for a living just won’t be enough any more. We need to get our video game on if we want to stay ahead of the pack! 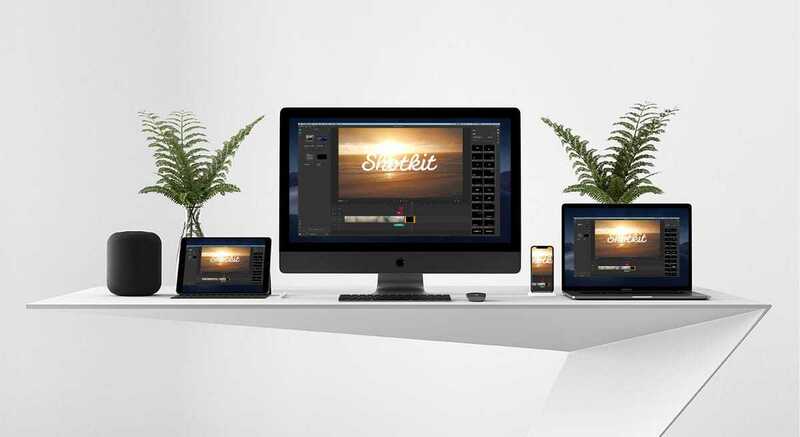 Adobe touts Premiere Rush as an all-in-one, cross-device video editing app. As its name implies, it’s a super-fast way to create pro-looking videos wherever you are, whether you’re on your phone, your tablet, or on our computer. You can shoot and edit video on your tablet or phone using the free Rush CC mobile app, or… and this is really cool, start editing a video on your computer, then have it all sync automatically to your mobile device. This means you can edit professional looking videos right on your phone on the train home from work… then with one click, it’s on YouTube, Facebook and Instagram! What is the difference between Premiere Pro and Premiere Rush? Premiere Pro is for the YouTube generation – social media creatores, vloggers, and people like us – photographers who don’t have time to learn an advanced editing program like Premiere Pro. Think of the difference between Premiere Rush and Premiere Pro like the difference between Lightroom and Photoshop – all the best tools, in a mush simpler package. It’s included if you already subscribe to the Creative Cloud All Apps plan, the Premiere Pro CC single app, or the Student/Teacher plan. You can also pay for it as you go at in a standalone Premiere Rush CC plan. Rush CC, Adobe Rush CC, Adobe Premiere Rush CC – it’s all the same thing. It refers to Adobe’s new all-in-one video editing tool for mobile and desktop. It used to be known as ‘Project rush’, but now its official title is Premiere Rush CC and is part of Adobe’s Cretive Cloud suite. The free mobile Adobe Rush CC app allows you to edit and share video shot directly on your phone or tablet, or edit/share video synced from the desktop app. In other words, you can be editing something on your laptop, then switch over to your iPad to finish the edit and share it. Let’s have a closer look at who this amazing new software is for, and why I think it’s so relevant for photographers this year. Who is Premiere Rush CC is for? It’s for you, bro ;-) Even if you’ve never shot a video, let along edited one before, Adobe Premiere Rush is going to change all that for you. I’ve been slowly introducing more video content to the Shotkit YouTube Channel. I’m the first to admit the quality of the videos is pretty terrible, but you’ve got to start somewhere, right?! I’ve also been introducing video to my wedding photography services – not fully-fledged video coverage at the wedding, but rather, small video clips that can add value to my existing services, such as couple interviews, or (very) basic videos/audio of the speeches for couples who don’t want to pay full price for a videographer. 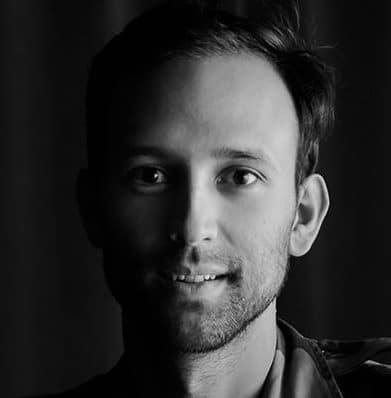 Shooting simple video like this isn’t that hard – there’s enough free YouTube content out there to teach you the basics. The problem has always been the edit. Knowing what app to use to import video and audio footage, slice it up, add some cool effects, then get it online has always been a pain. Premiere Pro and Final Cut Pro are intimidatingly complicated (picture the first time you used Photoshop… then times that confusing-ness by 10! ), and iMovie/Windows Movie Maker are too basic. I got by with iMovie to edit/upload my videos in the past, but the various limitations started to annoy me. I was having to export a video just to be able to re-import the whole thing to add a logo watermark! Enter Adobe Premiere Rush CC, thanks to a game-changing recommendation from my friend Daniel Stark. …dude, just use Adobe Rush. I used to use Premiere Pro, but Rush is so freaking easy… and I love how quickly you can share. So there you go – Adobe Rush bridges the gap between a total video novice like myself, to a professional looking video edit… minus the hours spent fiddling around in a more complex program like Premiere Pro. Adobe Rush CC is video editing for the impatient, smart Youtube generation. Next time you’re at your computer, grab the free download from here and have a play around. Then install the free app on your phone (iOS here, Android coming soon) and see how it all syncs across. If you haven’t tried Adobe Rush yet, I’m so excited to be introducing it here to you. Adobe Rush CC for mobile is 100% free. You can use all the editing functionality, but none of the syncing with the desktop – this is where the real benefit lies, imo. With the desktop version, you can download a free trial which has no time limitations – I love this. Usually, Adobe offers 30 day trials of its software. However, with the desktop Rush CC app, Adobe gives you an unlimited time to try it out, and instead limits you to 3 video exports. This really allows you enough time to see how easy Rush CC is to use, and to get comfortable with the desktop/mobile platform as a whole. Premiere Rush offers some of the best motion graphics and audio capabilities from the Creative Cloud suite of video and audio apps, but all packaged up in something that will take you a few minutes to learn. That’s no exaggeration – I went from downloaded app to comfortably editing in about 15 minutes. The learning curve in Adobe Rush is so shallow that you’ll find yourself clicking around in the menu, looking for other features! Incidentally, this is a good thing – Adobe Rush only includes the bare essentials. 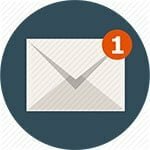 You don’t get bogged down in complex little features that you think you need, but probably don’t. Although the ability to share movies on the go is also an advantage of Adobe Rush, this has always been possible with smart phones. Editing videos on mobile devices has also been possible, but not to this degree. Everything is synced to the cloud, meaning your latest edit at your computer is waiting right there for you when you get to your phone. 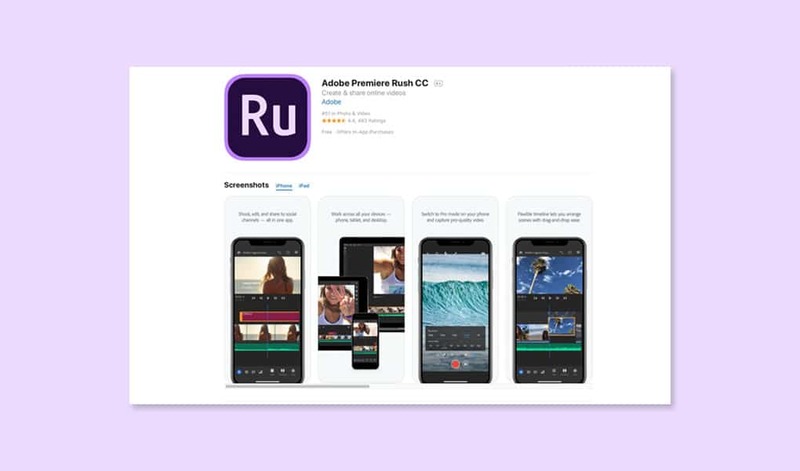 Adobe Rush brings you all the most essential video/audio editing capabilities of its desktop app, right to your phone or tablet, plus some features that can really elevate your videos. Motion Graphics Templates are those cool, animated things you see all the popular YouTubers use. 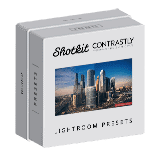 Usually these have been painstakingly designed in Adobe After Effects (or purchased), but Rush CC gives you a wide selection of templates for free. Just adding titles that pop out and animate over your footage can transform your videos into something really worth sharing. Just like us stills photographers need our Adobe Lightroom and Photoshop keyboard shortcuts, the video guys live and die by keyboard shortcuts too. Thankfully, Adobe brought over some of the essential navigational keyboard shortcuts to make Premiere Rush easier and faster to use. Fans of Premiere Pro will be pleased to see that they’re all the same shortcuts too. This is pretty standard in movie editing apps, but it’s nice to see that the Adobe Rush CC implementation of it is so snappy – both in mobile and on desktop. A magnetic timeline refers to the ability to drag around clips in your editing timeline, and have the other clips automatically shift around to accommodate edits, ensuring no gaps in the footage. 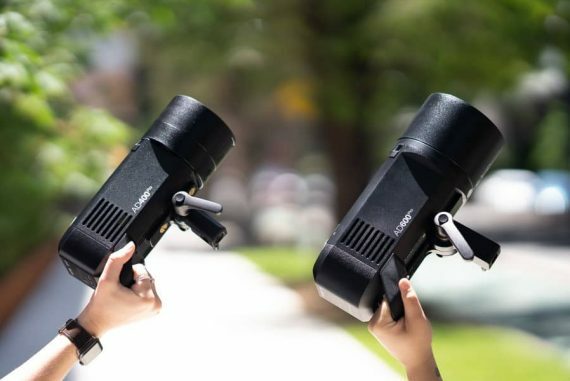 When you start getting comfortable shooting video, you’ll want to add more camera angles, which means you’ll need more editing layers, or ‘tracks’. With iMovie, you can’t add more than one video or audio track, which quickly becomes frustrating (hence my need in the past to export, then re-import footage to add new ‘tracks’). In Premiere Rush, it’s easy to stack up your various clips, photos or audio on top of the ‘primary storyline’, giving you multiple options to add production value to your final footage. Adobe Rush files are also compatible with premiere Pro. This means that you can pick up where you left off, and finish your project on a more powerful video-editing tool. I can honestly say I’ll probably never need this, but it’s nice to know that it’s there if you consider yourself a power-user. Exporting your completed video from Rush CC is a piece of cake. You can choose to export it to your hard drive, or direct to YouTube, Facebook, Instagram or Behance. You can add your video information (title, description, hashtags) and a custom thumbnail, as well as schedule your video post and control advanced custom render settings. If you’re lazy like me, you can just keep all the pre-optimized render settings as they are, safe in the knowledge that Rush will publish them in the best possible quality for the specific social platforms. It’s such a time saver to not have to mess around with resizing and re-optimizing for the various social media channels. Let me preface this by saying that these shortcomings of Adobe Rush are mostly relevant for users coming from Premiere Pro. This is such a big omission that I can’t help but assume that Adobe neglected to include it on purpose, as they want to keep some users on Premiere Pro! This refers to the ability to make in and out edits, also known as ‘3-point editing’. It basically means that you can’t roughly edit your clips down before you ever drag them over to our timeline – curiously, this is available in more basic video editors like iMovie. Its not a huge annoyance, but I do miss being able to select the rough portion of a larger clip in my source folder, then drag it over to the main timeline ‘pre-edited’, just to save some time. This refers to moving an edit point and causing the rest of the timeline to move the same amount to compensate. In other words, when you click and drag to trim your footage, the footage after it doesn’t automatically move to fill in the void left by the missing footage. It’s not really a big deal – you just delete the void, or drag the other footage to fill it. Would’ve been nice to have, though. Adobe offers lots of nice looking animation templates, but strangely enough, only 3 transition effects. Maybe this is Adobe’s way of telling us that most of the cross fade transitions are a little bit passé…! Obviously, this is largely dependent on your computer set up and the size of the video files you’re editing. I use a 13″ 2015 MacBook Pro (pre-dongle!) connected to a 27″ external monitor, and I found the editing speed to be so-so. I’d have to reduce the preview quality to ‘Low’ so that the scrubbing editor could keep up. In order to take advantage of any video editor, it’s important to have a fast computer. Funnily enough, my love of Adobe Rush CC is the number one catalyst for me upgrading to a more powerful Mac this year! How much is Adobe Premiere Rush? The pricing of all the Adobe Creative Cloud apps is admittedly rather confusing. I had to write a whole article to explain how to get hold of Adobe Lightroom… so listen up! 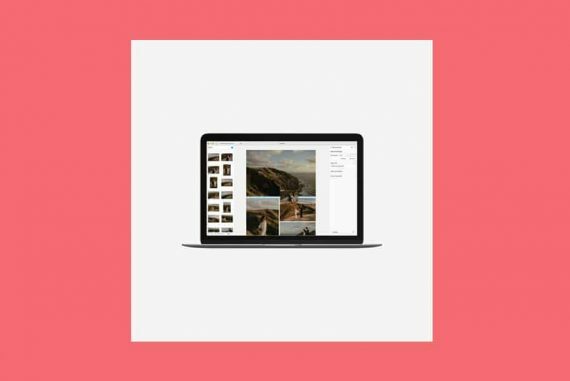 This includes 20+ desktop and mobile apps, such as Premiere Pro, Photoshop, Lightroom, InDesign, Illustrator, Acrobat Pro… and up to 10 TB of cloud storage to make sure everything syncs across your devices nicely. 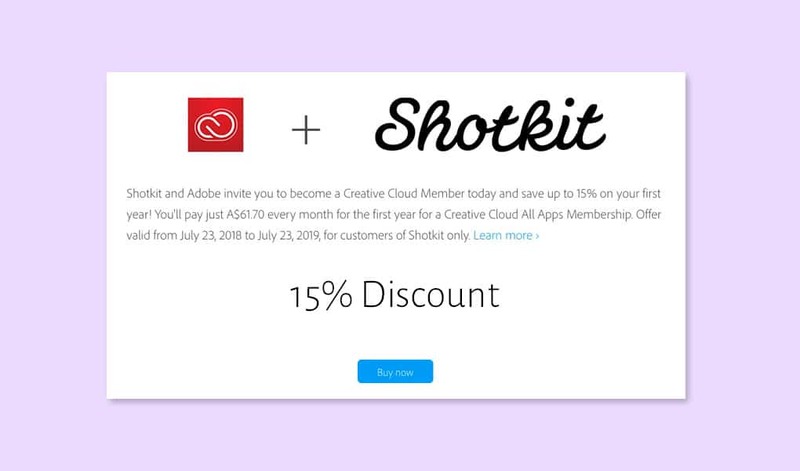 If you’re likely to use a few Adobe apps regularly, it’s actually really good value – especially with this discount for Shotkit fans. The pricing fluctuates through the year, but using the discount will ensure you always get the best price. This gives you unlimited exports and 100GB of cloud storage (up-gradable to 10 TB). If you’re unlikely to use any other Adobe app, this is the plan that makes most sense. If you use Premiere Pro and you want something 10x easier, without all the bells and whistles that can slow down your workflow, Premiere Rush is for you. If you’re like me, a (stills) photographer looking to expand your horizons for 2019, but not ready to invest hours to learn a complicated new video editor, Rush is for you too. Bottom line is, I actually enjoy using Adobe Rush CC. There’s something really satisfying about making simple edits to a video timeline, adding animated text, then sharing it direct to YouTube. Have a play around yourself and feel free to post a link to your creations in the comments below.